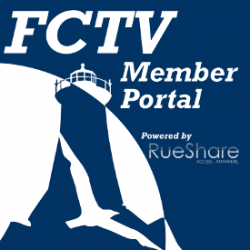 FCTV classes, our staff and some of our most active members are featured on wickedlocal.com! Click on the link for the full article and to watch video interviews with Debra Rogers, Keith Hopkins, Basia Goszczynska and Marilyn Rowland. Watch the celebration of the opening of the OpenCape Network to Cape Cod, held at Mass Maritime Academy on June 14, 2013. Congratulations to Erika Hahn, a long time FCTV member and producer, who was chosen to receive the first annual Priscilla “Pucky” Roslansky Memorial Fund Award for her video “Answering the Nutrient Problem; Integrated Resource Recovery” taped in March, 2012 at the Falmouth Library. The Rika Welch Community Impact Award was presented to Falmouth Community Television (FCTV) member and Treasurer Kevin K. Lynch at the Conference by the Sea in Plymouth, MA on November 2, 2012.